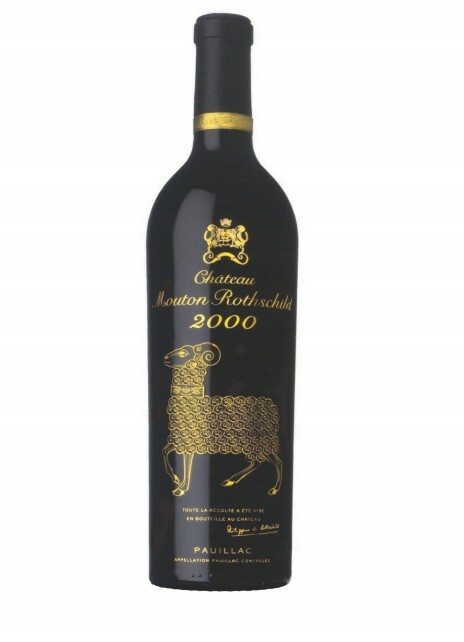 Each year since 1945, the Château Mouton Rothschild label has been illustrated with an artwork by a leading painter, specially created for the vintage. Thus, the most famous names in contemporary painting have been brought together in a collection to which a new work is added each year. For 2000, in an exceptional departure from this tradition, Baroness Philippine has not commissioned a painter. The bottle “in person” has become a collector’s item, its very glass adorned with a treasure from the Museum of Wine in Art at Mouton: the little “Augsburg Ram”, a chased silver-gilt drinking vessel created around 1590 by Jakob Schenauer, a German master goldsmith. In order to reproduce all the refinement and lustre of the original work, after four months of research, the glassmaker B.S.N. came up with a new technique for enamelling in relief, calling for custom-made tools and work of the utmost precision. The particularly complex method for firing the gold and enamel has produced a scintillating texture and an incomparable capacity to catch the light. A golden ring around the black foil reproduces the design engraved on the ram’s collar and recalls the chased volutes of its body. The arms, the name, the vintage and the owner’s signature have been screen-printed in gold. The bottle, of high-quality, heavy glass, has been slightly remodelled at the shoulder in the shape of a truncated cone. 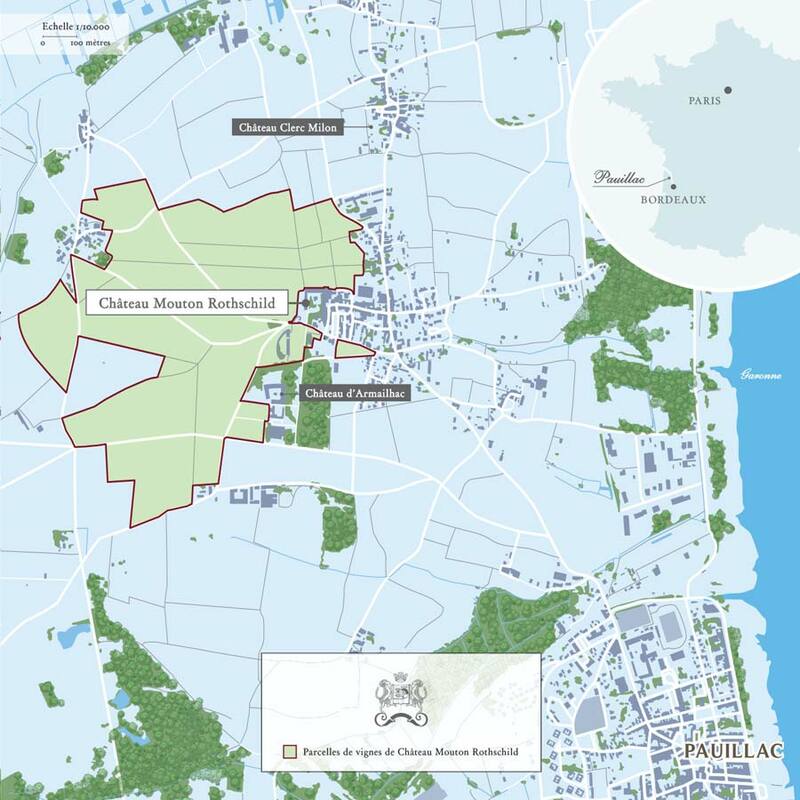 As proof of its authenticity, the Château Mouton Rothschild name is engraved in the base.